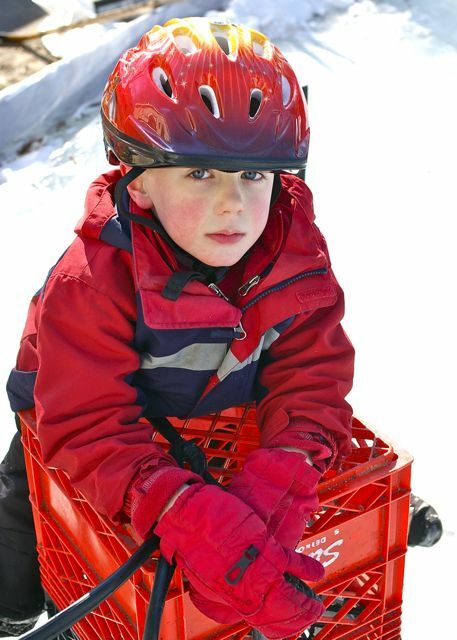 Aside from skates, helmet, snowpants and mittens, there's one more piece of equipment the beginning skater requires: milk crates. Why didn't I think of that? Great idea.